Clarity and confidence in your financials gives you a sound base from which to grow your business. If you’re a startup, a small business in growth mode or an established business, MindWise Financial can get your books orderly, organized and clear, so you can focus on what you do best – leading your business and driving revenue. 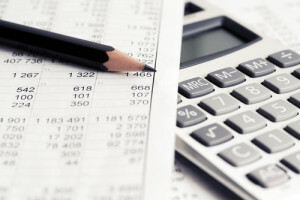 What can first-rate bookkeeping do for you and your business? Decision-making: Help you understand exactly how your business has been growing and analyze its health — critical information that enables you to make the right decisions about the future of your business. Access to Capital: Give you the organized financial data you need to develop relationships with banks and get the capital you need to grow your business. Compliance: Keep you out of trouble and keeps costs down by helping you stay compliant with local, state and federal laws – an essential if you want your business to thrive. How do you know you’re ready for a professional back-office bookkeeping team like MindWise Financial? If you’re ready for relief from the details and peace of mind about your financials, give us a call. If you’re struggling with any of these issues, or if you’d just like to do it right from the start, let’s talk.